More Information: Can't decide? Choose our gift sampler--it has everything you need to get started: five teas, a spoon to measure the perfect amount, and a tea-ball strainer. All this, sealed in a package with a festive gold bow! 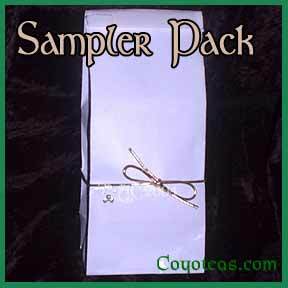 Related Products: Gift Samplers, Gift Baskets. This product first appeared in our catalog on Friday 01 April, 2005.